I am not one of those people who jumps to the last few pages to read how a book ends before I’ve ever started it. I do not understand those people. At all. I like to savor a good book, take it slow, breathe in and out the beauty of the language. OR, I like to devour it in one sitting, holding my breath and wanting more. So, it’s a little surprising that I’ve pulled the last paragraph of a book to use as a craft study. I promise it gives nothing away. I also promise: you may just shudder at the loveliness of the language like I do. 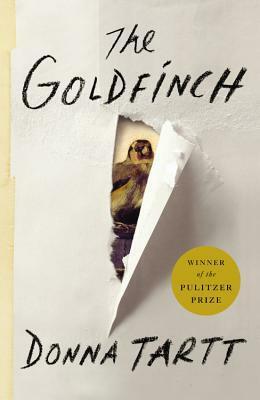 If you have not read The Goldfinch by Donna Tartt, you must. Find the time. It’s worth it. I don’t know if I can motivate my students to read this lovely book though– it is thick with 771 pages, and the story itself is long, and there are times your love/hate relationship with the main character makes you want to shout the house down. But I’ll try. Because I love it. Whatever teaches us to talk to ourselves is important: whatever teaches us to sing ourselves out of despair. But the painting has also taught me that we can speak to each other across time. And I feel I have something very serious and urgent to say to you, my non-existent reader, and I feel I should say it as urgently as if I were standing in the room with you. That life — whatever else it is — is short. That fate is cruel by maybe not random. That Nature (meaning Death) always wins but that doesn’t mean we have to bow and grovel to it. That maybe even if we’re not always so glad to be here, it’s our task to immerse ourselves anyway: wade straight through it, right through the cesspool, while keeping eyes and hearts open. And in the midst of our dying, as we rise from the organic and sink back ignominiously into the organic, it is a glory and a privilege to love what Death doesn’t touch. For if disaster and oblivion have followed this painting down through time — so too has love. Insofar as it is immortal (and it is) I have a small, bright, immutable part in that immortality. It exists; and it keeps on existing. And I add my own love to the history of people who have loved beautiful things, and looked out for them, and pulled them from the fire, and sought them when they were lost, and tried to preserve them and save them while passing them along literally from hand to hand, singing out brilliantly from the wreck of time to the next generation of lovers, and the next. Let’s just take it sentence by sentence. Then let’s choose a sentence we like and respond to it. That’s enough for now. I use the bomb explosion scene right at the beginning as a snapshot to show students what one scene in a story looks like. That snippet is also enough to sell some of them on reading the whole book. I was 150 pages in before one of my students asked to borrow it–I couldn’t help but lend it to him. Great passage choice! AHHHHHHHHH I loved this passage. I read the book over the summer and then promptly loaned it to a friend, but not before taking a picture of the last paragraph to use for craft study. It is beautifully written…I’d love to spend an afternoon with Donna Tartt, wouldn’t you??? ?